Get the latest analysis and news on all warranty-related topics delivered to your inbox. Our weekly, informative newsletter for all Warranty-related professionals! Please enter your Name and Email address, then click Subscribe. Shortly afterwards, you will receive a confirmation email and can complete your subscription. Aerospace Warranty Report: Claims and accruals continue to fall for the top aerospace OEMs, though the warranty expense rates of aerospace suppliers has been rising for two years now. And the recent acquisition of Rockwell Collins by United Technologies has made the industry's largest warranty provider even bigger. Sixteenth Annual Product Warranty Report: Warranty costs are rising but sales are rising faster, meaning that the percentage of revenue consumed by warranty expenses remains at the low end of a decade-long decline. But can expense rates go even lower, or are we at the bottom now? A look at the totals and averages in 2018. Early Look at Year-End Warranty Data: The Hewlett-Packard family of companies has filed their annual reports, as have a few others such as Deere and Navistar. While companies whose fiscal years end in December are just beginning to publish their warranty expense reports this week, many others with different fiscal years have already released the data. Nine-Month Auto Warranty Report: Though the headlines warn of layoffs, neither the sales nor the warranty expense data of the industry suggest any sort of imminent slowdown. On the contrary, many truck, car, powertrain, and automotive parts manufacturers are cutting warranty costs while enjoying rising sales. New Home Warranty Expense Rates: Some industry metrics are at their highest level in more than a decade, and one set a new all-time high. And none of the builders are using the sleight-of-hand accounting tricks they employed before the last recession. So is there any substance to these talks of an imminent industry downturn? Worldwide Construction Equipment Warranties: Sales took a big jump in 2017, and so did warranty expenses. But the increases were more or less proportional, which means the warranty expense rates remained about the same. However, the industry's claims and accrual totals are still a bit below their pre-recession peak levels. U.S. & German Auto Warranties: Car manufacturers based in Germany have the highest warranty expense rates in the industry. But that doesn't mean they make the worst cars and more than it suggests that China, the country with the lowest warranty expense rates, makes the best cars. Somewhere in the middle are the U.S. and Japan. Chinese Auto Warranties: It's not a topic you hear much about, with good reason. While more new cars are now sold in China than in any other country, most of the top ten manufacturers report that warranty costs are a minor expense. And even though the competition is fierce, warranty remains a minor concern. Civilian Aircraft Report: Warranty expense rates have been steadily declining since 2011 and are now at their lowest levels ever. That means the manufacturers of everything from biplanes to business jets are cutting their warranty costs by remarkable amounts. Meanwhile, per mile, air travel is even safer than walking. Solar Equipment Warranty Expense Rates: It's a bit of an actuarial nightmare. Relatively young companies in new and unproven industries issue very long warranties for which multiple years or even decades can pass before claims arise in volume. But eventually, products mature and claims exceed accruals, and reserves begin to deplete. Then the actuaries break the bad news: it's time to raise rates. Worldwide Automobile Warranties: Manufacturers representing well over 90% of the world's car sales now reveal their warranty expenses in their financial statements. So we've fashioned estimates for the remainder to create some benchmarks for the industry's warranty expense rates: 2.6% of revenue and $577 per vehicle. HVAC & Appliance Warranty Report: The appliance makers have higher warranty expense rates but the HVAC makers spend more. They also maintain warranty reserves that are much larger than the appliance companies, because the warranties on their products have longer durations. Building Materials Warranty Report: Warranty costs are generally rising in recent years among the suppliers of building materials, fixtures, and furniture. The latter group has seen the most noticeable cost increase, though expense rates across the industry are still generally on the low side (below one percent of revenue). Medical & Scientific Equipment Warranty Report: Though the companies producing systems that use lasers or X-rays continue to report elevated warranty expense rates, their costs have declined significantly and steadily since 2003. But in 2017, their warranty costs started climbing again, and in several respects have hit new heights. With other types of equipment, the outlook for warranty expenses remains mixed. Semiconductor Warranty Report: In this industry, the makers of the factory machinery that fabricates and tests the actual products seem to have much higher warranty expense rates than their customers. But they also have reduced their expense rates significantly over the past 15 years, while the expense rates of the device makers have remained more or less the same. Computer Industry Warranty Report: The warranty costs of the top U.S.-based computer manufacturers are declining, but not at the expense of their suppliers. Instead, their costs seem to be declining together in parallel, with their expense rates now roughly half as high as they were 15 years ago. Automotive Supplier Recovery: While the OEMs are enjoying lower warranty expense rates, it's not all good news for their suppliers. While some of the cost reduction comes from OEMs manufacturing better products, some could be the result of increased reimbursements by suppliers. A few of the relevant warranty metrics hit new records in 2017, suggesting increasingly successful supplier recovery efforts. Automotive Supplier Warranty Report: Of all the companies that supply parts and components to the car and truck manufacturers, those making engines, axles and transmissions pay the most claims and see the highest warranty expense rates. Last year, in fact, they broke records for claims paid, accruals made, and reserves held. Automotive OEM Warranty Report: The car manufacturers used to spend a greater share of their sales revenue on warranty work than the truck manufacturers did. But because of persistent cost-cutting, that is no longer the case. Last year, car manufacturers cut their expense rates to below-average levels, while the truck manufacturers were slightly above their long-term average at the end of 2017. Warranty Claims & Accrual Rates: Among the seven largest warranty-providing industries, only a few have a consistent history of reducing warranty expense rates. Instead, most have seen their claims and accrual rates both rise and fall over the past 15 years, and a few have even seen sustained increases in their warranty costs. Midyear Auto Warranty Expense Report: Though passenger car sales have slowed a bit from last year's record pace, there's no sign of a slowdown among truck makers or their suppliers. More worrisome is a slow but steady rise in warranty expenses that's been under way for several years, after more than a decade of gradual cost reduction. New Home Warranty Expense Rates: Last time there was a recession, the warranty metrics of new home builders flashed danger signals more than a year before it officially started. Currently, there's nothing to worry about, by the looks of the latest industry data. Worldwide Construction Equipment Warranties: With hard data covering almost three-quarters of the construction machinery sold worldwide, we manufactured an estimate of $2 billion for the entire industry's annual warranty costs. But we also found that sales are falling while warranty expense rates aren't changing much at all. Automotive Supplier Recoveries: A decade ago, the largest OEMs devised new warranty policies that helped to shift more of their expenses back to their suppliers. But then in 2014, an increasing number of safety recalls raised their warranty cost back up, leaving both them and their suppliers at higher expense levels. Civilian Aircraft Warranties: The manufacturers of large commercial airliners seem to have lower warranty expense rates than the companies making smaller business jets or regional jets. Is that because their products are built better or is it a function of how most aircraft warranties are provided to customers in sections? Semiconductor Warranty Report: Though the companies making capital equipment that's used to fabricate and test semiconductors and printed circuit boards continue to pay more warranty expense than their manufacturing customers, the gap has narrowed considerably over time. Some companies have cut their expense rates in half. Telecom Equipment Warranty Report: Claims and accruals have fallen dramatically in the past decade, both in terms of dollars and as a percentage of sales. Mergers and bankruptcies were a major factor, but so were cost-cutting efforts. Now, however, expenses are rising again and sales aren't, so expense rates are creeping upwards. Building Trades Warranty Report: Unlike most other industries, in the new home construction business, the builders have lower warranty expense rates than many of their suppliers. But the makers of appliances and heating/cooling systems are now cutting their costs and narrowing the gap between their expense rates and those of the makers of fixtures, furniture, and building materials. Electronics Warranty Report: Although not as pronounced as in the automotive industry, and not as unseen as in the aerospace industry, there is definitely a gap in the high-tech sector between the warranty expense rates of OEMs and their suppliers. Makers of computers, telecom equipment, and medical devices have much higher warranty costs than disk drive or semiconductor manufacturers. Aerospace Warranty Expense Report: Because one major airframe manufacturer has now separated its warranty and extended warranty accounts, the aerospace industry totals and averages are in disarray. However, many OEMs and suppliers continue to cut their warranty costs, setting new record lows for their expense rates. U.S. & European Auto OEM Warranty Report: While Volkswagen and Fiat have seen their warranty costs rise significantly in recent years, BMW, Daimler and Tesla have driven their expense rates down. And somewhere in the middle this year are Ford and GM. Automotive Warranty Expense Report: While the individual manufacturers see their claims, accrual, and sales totals change up and down from year to year, some long-term trends are also evident. The carmakers are cutting costs the most and the longest, while the powertrain manufacturers are falling behind other types of suppliers. Top 100 Warranty Providers of 2016: While we can't directly compare the warranty expenses of companies to each other, we can compare a company to itself over time, and can then make comparisons based on the rate of change. In doing so, we can spot the companies cutting their warranty expense rates significantly, as well as those whose warranty costs are beginning to spin out of control. Warranty Mergers: Either because the acquisition wasn't big enough or the product lines are too similar, the merger of two warranty-providing manufacturers has little effect upon the baseline warranty expense rates of the combined companies. But sometimes it does, and here are seven examples where expense rates change noticeably. Global Construction Equipment Warranties: Half the companies report warranty expense rates that range from 1.0% to 2.3%. The other half are either above or below that range, mainly because most of their revenue and therefore most of their warranty costs come from other industries. And though there's been a few anomalies over the past 13 years, most of these manufacturers report steady and consistent warranty expenses. Asian Auto Warranty Report: Honda sees its warranty costs soar because of air bag recalls, forcing it to set aside more money for warranty work than GM and Ford combined. Meanwhile, Toyota, Tata, and Hyundai struggle to maintain steady warranty expense rates for their nameplates. European Auto Warranty Report: Warranty expense rates are climbing for several manufacturers in Germany, Italy, and France. But Volkswagen has set a new record for warranty costs in the automotive industry as it prepares to clean up the diesel engine mess. Daimler is the only OEM showing any stability in its warranty metrics, let alone cost reduction. Telecom Equipment Warranty Report: Is most of the warranty cost reduction now behind them? Several parts of the industry, such as the Internet and data communications equipment makers, have seen their expense rates climb a bit in recent years. Others are letting their reserves run low, or cutting their accrual rates even as their claims payments increase. 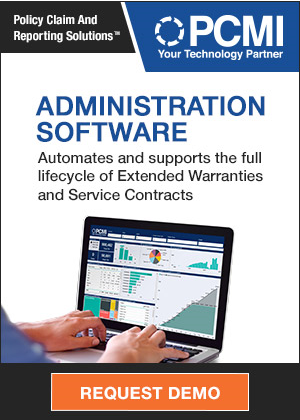 Computer Industry Warranty Report: Though their warranties are usually shorter than those on cars and trucks, their expense rates are almost as high, as a percent of revenue. And despite their higher-than-average claims and accrual rates, many computer, disk drive, and printer manufacturers prefer to keep their warranty reserve cushions as slender as possible. Auto Parts Supplier Warranty Report: Suppliers of engines and transmissions keep larger warranty reserve balances and pay higher warranty expense rates than do suppliers of other automotive components. But those other suppliers have done a better job of cutting their warranty expenses over the past decade, though they've lost ground recently. Automotive OEM Warranty Report: There were some big declines in warranty costs last year, but it was more a case of getting back to normal after a bad 2014 filled with recalls. Still, the carmakers set a new low for their expense rates, and many of the heavy truck and construction equipment companies also continued to push warranty costs lower. Thirteenth Annual Product Warranty Report: As the latest charts clearly show, American manufacturers are spending less on warranty than they used to. But is it because of better products, less costly repairs, or fewer sales? Now that the 2015 warranty expense data collection is almost complete, it's time to figure out why claims and accruals are declining. Top 100 Warranty Providers of 2015: Most of the major warranty providers have published their annual reports in the past few weeks. By comparing their most recent warranty claims, accrual, and reserve metrics against the same expense figures from a year ago, we can make a series of top 10 lists of the most improved and the most injured warranty providers. U.S. Automakers' Warranty Expenses: Because there were so many big recalls in 2014, the amount spent on warranty soared. Last year, things began to get back to normal, but expense rates are still at elevated levels. Nevertheless, unit sales totals smashed a 15-year-old record in 2015.
International Aircraft Warranties: The bigger the plane, the higher the price, and the lower the warranty expense rate as a percentage of that average selling price. The products of the top seven aircraft manufacturers in the world can basically be ranked in size order, with the largest paying under 0.4% on warranties and the smallest paying 4% or more on warranties. International Consumer Goods Warranties: One good reason that not much is ever written about the expense of covering consumer electronics with product warranties: costs generally aren't that high. Except for laptops and smartphones, the expense rates for most consumer electronic products are generally quite low. But there are some big gaps in the amount of warranty data that's available, outside of a handful of top industry brands. International Heavy Equipment Warranties: Compared to U.S. market leaders, the top Japanese and European makers of mining, construction and farm equipment have generally lower warranty expense rates. But that seems to have more to do with the way they divide their revenue into warranted and non-warranted sources than it does with the actual warranty expenses. U.S. & Asian Auto Warranty Report: Almost every passenger car manufacturer is reporting rising warranty expense rates, thanks to soaring recall costs. But while some OEMs are seeing their costs per unit rise by a third or even by half, a few are reporting only small increases. Materials Handling Equipment Warranty Report: Though it's difficult to figure out who's in and who's out of this industry, there's no doubt that they're reducing their warranty expense rates to the lowest percentage of sales revenue seen since at least 2003. Medical Equipment Warranty Report: While most of the companies in this industry have fairly low warranty expense rates, those that deal with either lasers or X-rays see much higher costs. And even those with low costs keep a very thin cushion, so when things go wrong they go very wrong. Computer Supplier Warranty Report: Data storage system manufacturers have been steadily reducing their warranty costs for more than a decade. But the cost reductions seem to have slowed down in recent years. Meanwhile, for peripheral manufacturers, warranty expense rates are now almost back to normal, following years of elevated costs. Auto Parts Supplier Warranty Report: Compared to the automotive OEMs, the suppliers have kept their warranty costs low and ytheir expense rates stable. And while some saw costs drift upwards last year, on average the group remained about the same, as they have for the last few years. Twelfth Annual Product Warranty Report: Warranty expenses are once again rising and so are the associated expense rates. Much of that has to do with the increased cost of passenger car recalls, and some of it is caused by the soaring sales of smartphones. But could it be that some of the most successful warranty cost-cutters have let things slip back a little recently? Top 100 Warranty Providers of 2014: While we can't directly compare one company's warranty expenses to another's, we can compare each company to itself over time, and then compare the magnitude of the changes. What follows is a list of the manufacturers that have raised or lowered their warranty expense rates the most from 2013 to 2014. Early Look at Annual Warranty Data: About half the big companies have now reported their year-end 2014 warranty expense data. And while little has changed for most of them, a few are now getting back to normal after seeing expense rates soar in 2013 and earlier last year. Top International Warranty Expense Reductions: While HP saved itself a billion dollars a year, two German carmakers have saved themselves twice as much. Three others have cut their annual claims payments by hundreds of millions of dollars a year in the past decade. Top Warranty Expense Reductions: Using a list of just the top 200 warranty providers, we found one company whose warranty managers have cut costs by a billion a year within a decade, two more that cut hundreds of millions a year, and five that cut tens of millions a year from their employers' annual claims cost. And there were 16 more that deserved honorable mentions for their efforts. Chrysler's & Tesla's Warranty Adjustments: Compared to GM and Ford, their recent mid-course corrections to their warranty expense rates are modest. But for others, the relative size of these adjustments compared to regular accruals can be an early warning indicator of trouble ahead. Mid-Year Warranty Expense Report: By comparing each company to itself over time, and then comparing the size of the changes, we can spot the companies with the most improved warranty costs and those in the most trouble. Mining Equipment Warranties: Things haven't been the same for mining equipment warranty expense rates since the recession started, though they're now close to getting back to normal. The problem is that so many of them also make construction equipment, and that market was impacted severely by the downturn. Homebuilder & Supplier Warranties: Unlike in the automotive industry, where the OEMs have compelled their suppliers to pay a larger share of warranty costs, the homebuilders are reducing their share by selling fewer new houses. It's the building material suppliers who have learned how to cut warranty costs by reducing their expense rates. Asian Manufacturers' Warranties: While most consumer electronics products have relatively low warranty expense rates, as a percentage of revenue, computers generate as much warranty cost as passenger cars and major appliances. European Manufacturers' Warranties: While most international manufacturers don't disclose their warranty costs, some of the largest European warranty providers do. And their warranty expense rates aren't tremendously different from those of their American competitors. 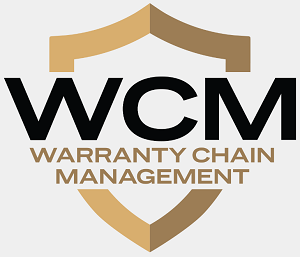 Material Handling Equipment Warranties: Most of the companies that manufacture equipment to handle, move and store materials have kept their warranty expense rates below one percent. But a few have expense rates far above that level, and some have expense rates that rise and fall dramatically. Telecom Equipment Warranty Report: As the old guard making landline phone equipment declines, the makers of data communication equipment and smartphones are accounting for an increasing share of the industry's warranty expenses. Still, there's been an overall decline in both the expense totals and the expense rates. Semiconductor Industry Warranty Report: In no other industry is the factory machinery so costly, and so expensive to maintain. And nowhere else does the output of the factory have such low warranty expense rates, compared to the machinery used to make it. It's as if the factory owners have shifted much of their warranty costs onto their equipment suppliers. New Homes & Building Materials Warranty Report: As sales recover, warranty expense rates are getting back to normal for the builders. But some of their suppliers, such as the makers of electrical and plumbing fixtures, are now enjoying the results of a decade of warranty cost-cutting. Appliance & HVAC Warranty Report: While we group them together, they're actually very different. Appliance makers pay higher warranty expense rates but for shorter durations. HVAC makers keep larger reserves on hand but they have to, given their longer-lasting warranties. The End of Warranty Cost-Cutting? For ten straight years, manufacturers steadily reduced their warranty expense rates from over 1.8% of their sales revenue to under 1.3%. But in the eleventh year, the declines stopped coming. Could it be that there's no more left to cut? And have manufacturers instead begun to spend more on the customer experience? Aerospace & Appliance Warranties: From airplanes to air conditioners, each industry has a typical cost of warranty based on the product it makes and what kind of customer it attracts. Business-to-business products such as airplanes have lower expense rates than consumer-facing products such as home appliances. Large Vehicle Warranty Report: There's only a very narrow gap between the warranty expense rates of large vehicle manufacturers and their suppliers. And while some manufacturers are reducing their warranty costs, many are simply returning to the expense rates they've had for most of the past decade. Warranty Expense Reductions: As the year comes to a close, we take a look at which of the largest warranty providers has achieved the largest expense rate reductions in the past 12 months. But in order to compare companies against each other, first we have to compare each company to itself over time. Extended Warranty Image Problems, Part 3: Does the industry need a spokesman to educate consumers about the value and convenience of service contracts? Or does it already have a spokesman that also acts as the industry's attorney? And if a new spokesman is needed, who will pay for what will be a costly and time-consuming ongoing expense? Food Service Equipment Warranties: The commercial appliances used in restaurants cost more to buy but less to keep in good working order. Over the past 10 years, the average warranty expense rates for professional food service equipment has been less than half as much as for home kitchen appliances. Security Equipment Warranties: All the gear used to detect threats and catch criminals have their own warranties, and the expense of keeping all those brand new machines in good working order is significant for the companies involved. Medical & Scientific Equipment Warranties: Most of the manufacturers in this industry have low warranty expense rates, except for those whose products use lasers or X-rays. But while their expenses are higher, they've also done the most to reduce warranty costs over the past decade. Appliance & HVAC Warranties: With huge amounts of warranty cost-cutting reported by United Technologies and others, the industry trend for expense rates is now firmly downwards. But HVAC and household appliance makers used to spend even less on warranty a decade ago. Aerospace Warranty Report: While a huge increase in Boeing's warranty costs is driving up the average for aerospace OEMs, the suppliers of avionics, jet engines, spare parts and other aircraft components are seeing their lowest warranty expense rates of the past decade. Automotive Warranty Report: Automotive manufacturers are cutting their warranty costs to the lowest levels of the decade. Sales are recovering from the depths of the recession but warranty expense rates are remaining low. However, some of the suppliers are paying more as the OEMs get better at seeking reimbursements. Most Improved Warranty Metrics, Part 3: While the short-term changes in warranty expense rates have a lot to do with the recession, the comparisons with 2003 and 2006 data have also identified numerous warranty cost-cutters. Most Improved Warranty Metrics, Part 2: Warranty expense rates have been on a downward trend for most of the past decade. And most of the manufacturers are reducing their claims and accrual rates year after year. Some, however, continue to cut costs faster than their peers. Aerospace Warranty Metrics: Unlike in the automotive sector, the aerospace OEMs and their suppliers split warranty expenses more equally, and have similar expense rates. But while the suppliers have been reducing their warranty costs lately, the OEMs are not. Large Vehicle Warranties: Claims rates spiked during the recession, but returned to normal soon after. For some of the OEMs, however, rates continued to drop as warranty processes were improved. The result is some of the lowest expense rates ever in the first half of 2012. Homebuilding Warranties: The data has yet to take an upturn, but at least it's not getting worse. Still, during the depths of the recession some of the homebuilders made some curious decisions about how much warranty expense they expected per new home sold. Japanese Electronics Warranties: Four electronics manufacturers that are based in Japan but export their products worldwide show below-average warranty expense rates. Part of the reason is what they make. But could part of the reason also be where they make it? Medical & Scientific Equipment Warranties: While it's true that systems using lasers or X-rays generate more than their fair share of warranty expense, it's also true that their manufacturers have been among the most successful warranty cost-cutters in recent years. Computer Warranty Report: The bigger the box, the smaller the warranty expense. And when phones get smart, and when computers get small enough to fit into pockets, warranty costs seem to grow proportionally. That's what the industry's warranty claims and accrual data, gathered over the past 8-� years, seems to suggest. Automotive Warranty Report: As vehicle makers get back to normal and sales rebound, one thing that's not bouncing back is their warranty expense. Key warranty metrics continue to decline, including claims as a percentage of revenue. And once again, the warranty reserve fund balances of the top vehicle makers and their suppliers are growing. RV, Boat & ATV Warranties: All that's left now are the survivors, after a big drop in sales proved fatal to some of their peers. Looking back, it's revealing how some of those survivors handled their warranty expense accounts through the recession. Claims & Accruals: No news is good news as the computer industry's top warranty providers turn in predictable warranty expense reports. Despite economic turmoil, new product launches and multiple recent acquisitions, claims and accrual rates just aren't changing much. Worldwide Electronics Warranties: It's not where you're from as much as what you make. European and Japanese electronics companies report warranty expense rates similar to what their American competitors do. The difference is that while U.S. companies must report what used to be trade secrets, the international companies are simply doing their New York Stock Exchange shareholders a big favour. Xbox Warranty Costs: For a company that's never reported a warranty expense, Microsoft sure has a problem on its hands, now that it lengthened the Xbox 360 warranty to three years and took a billion-dollar charge to finance those repairs. But outside of the warranty community, does anybody really care? Warranty Financial Management: Part 1: Defining Warranty Expense Management. Part Eight: Behind the numbers used in warranty metrics, there's a lot that's left up to the discretion of each company. This makes comparisons somewhat unreliable without a standard set of definitions detailing what is and what isn't a warranty expense. Product Warranty Trends: Manufacturers seem to pack their end-of-year reports with as much warranty expense as they can find, creating a kind of step function in the quarterly data.